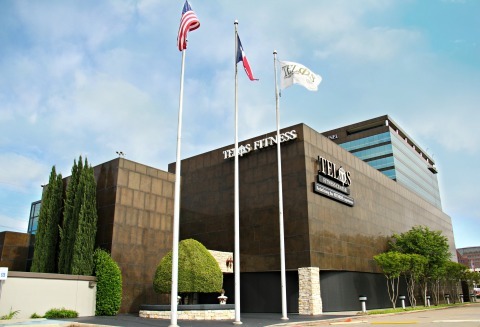 DALLAS--(BUSINESS WIRE)--Southern Properties Capital (SPC) a subsidiary of Transcontinental Realty Investors Inc., (NYSE: TCI) a Dallas based real estate investment company, is pleased to announce the ground lease acquisition for Stanford Corporate Centre and adjoining Telos Fitness Center. Transcontinental purchased both buildings in 2008. Stanford Corporate Centre is a 13-story, 274,684-square-foot office building adjoining 63,000-square-foot Telos Fitness Center located in the Far North Dallas office corridor. The asset offers an exceptional location along the Dallas North Toll way just north of LBJ Freeway in the heart of business and tourist trade in Dallas. This location provides a strong amenity base, including the Dallas Galleria Mall and Village on the Parkway, its proximity to the city’s premier residential areas (Park Cities, Preston Hollow, Plano and Frisco) and efficient access to all of the city’s primary commercial centers, including DFW International Airport, Addison Airport, Legacy Business Park and Preston Center. Stanford Corporate Centre is home to SoftLayer, iHeart Media Dallas, Academy, and PBK Architects. Telos Fitness Center was designed to reflect many international best practices. The facility blends state-of-the-art fitness equipment and the professional programming of a world class training center, with the luxury, comfort and service of a premier spa. Telos offers a distinctive fitness environment that provides its clients with a sense of warmth and belonging, while simultaneously delivering superior exercise experiences to transform their health and fitness. Southern Properties Capital operates primarily in Texas and specializes in Class A multifamily assets in emerging markets throughout the Southern United States, corresponding with both sustainable and viable economic growth activity. The issuing entity is backed by over 3,000 multi-family units (out of a total of approximately 8,000 owned and operated by TCI), as well as over 1.5 million square feet office buildings in Texas. The company has already used funds to acquire additional multi-family assets within its strategic footprint, and expects significant expansion by continuing to utilize the Israeli bond platform.